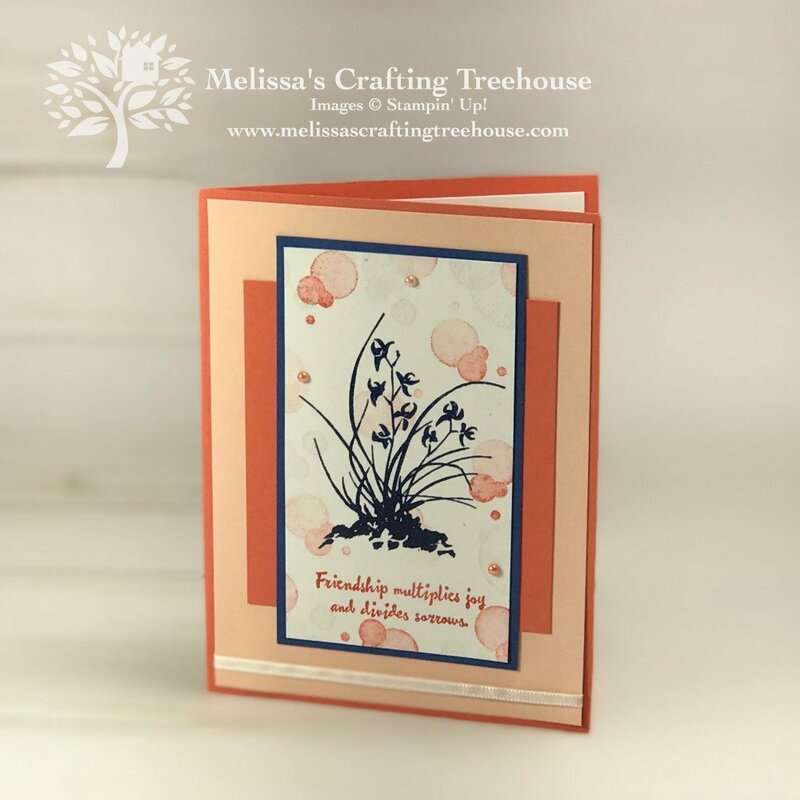 Today’s card features the Artistically Asian and Beauty Abounds Stamp Sets. I can honestly say, I would never have thought to put these colors together, but when I saw them I immediately knew I liked them! There’s something very bright, cheerful and dramatic about these colors together, and I just love the images and various shapes. 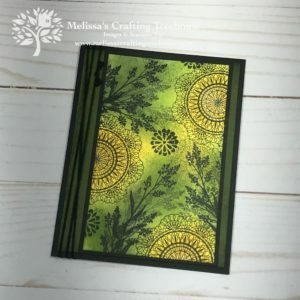 I definitely found artistic inspiration in this unique, fun combination of elements! 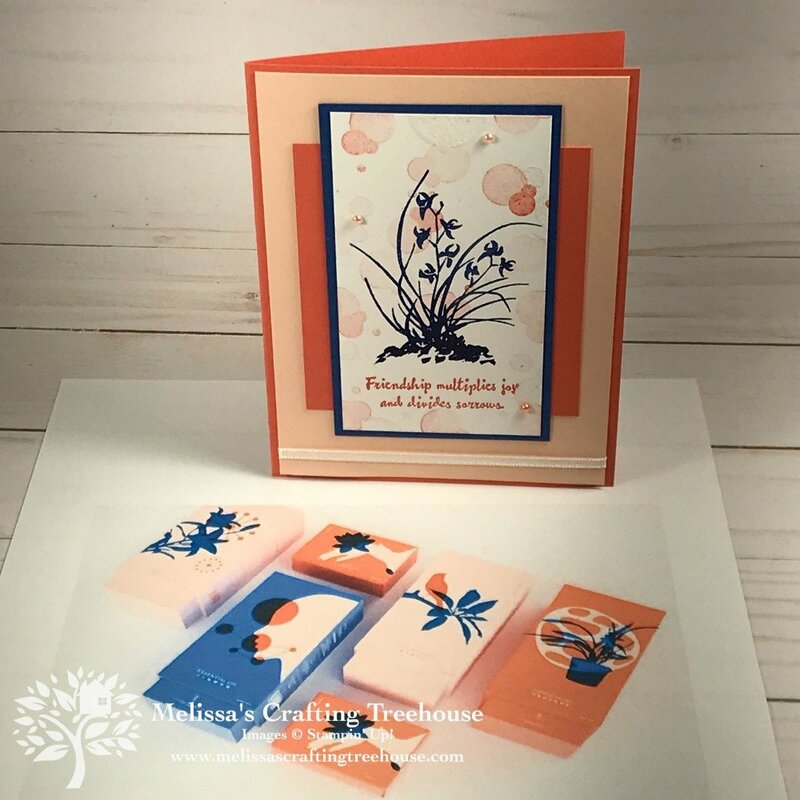 As I set out to create this card, I immediately knew that the Artistically Asian Set would be perfect! 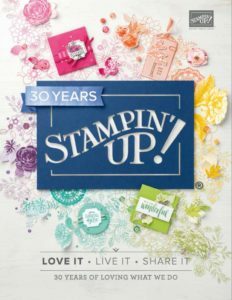 I love this set, and think it’s a bit of a hidden gem, in the Stampin’ Up! Annual catalog! 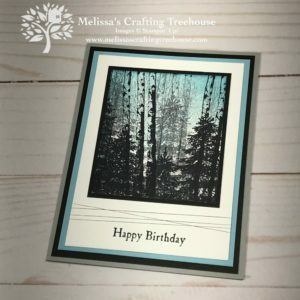 For this card I’ve used a variety of techniques including, stamping off and heat embossing in two different ways. Can you see how the white circles and plant are both shiny in the photo below? That’s because they are heat embossed! 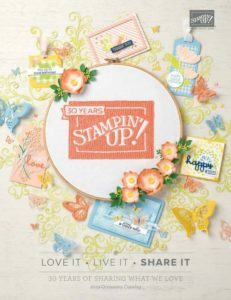 The white circles are stamped with White Craft Ink and heat embossed with Clear Stampin’ Emboss Powder. 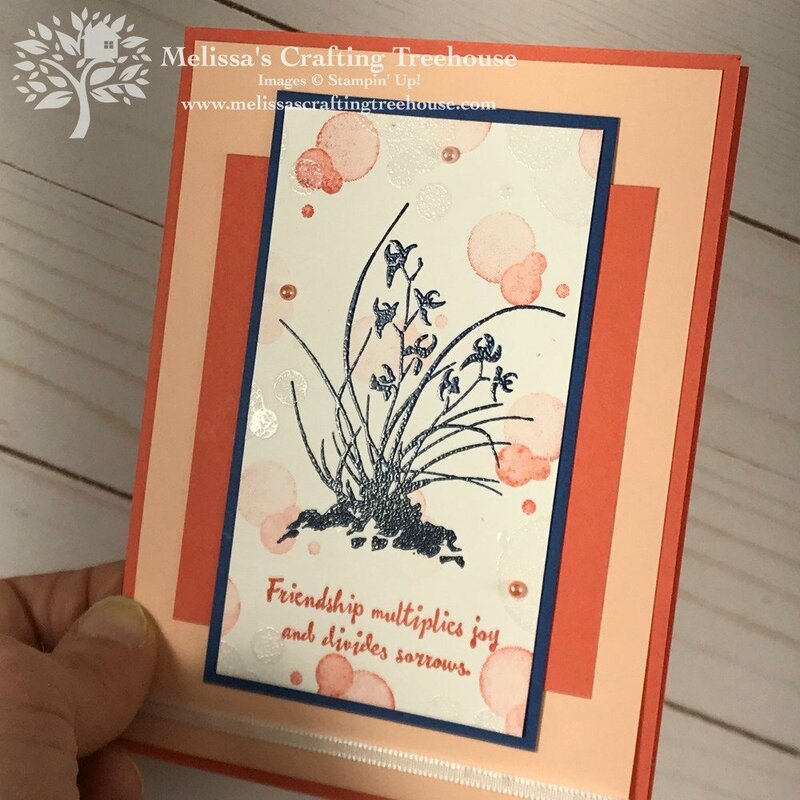 The plant is stamped with Versamark, then Blueberry Bushel Ink and heat embossed with Clear Stampin’ Emboss Powder. 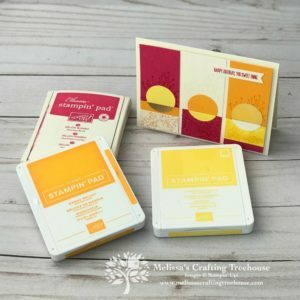 This is a very cool trick for heat embossing in any color. I’ve shown the process in the video ahead. 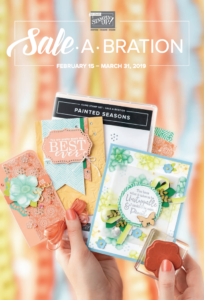 I’ve also added a few “Share What You Love Artisan Pearls” for some added dimension and shine. So what do you think about the idea of looking for artistic inspiration in product packaging? Are you inspired to give it a try? 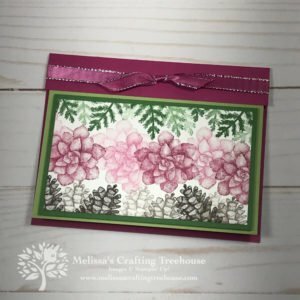 The creative challenge for my team card swap this month was to create a project inspired by some product packaging. 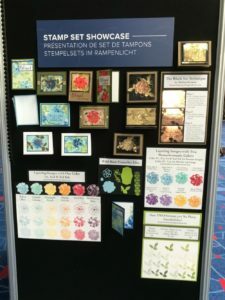 It was challenging at first, but everyone agreed that it was a very fun process to find artistic inspiration in this way, and it made us all think outside the box. Everyone’s projects were super fun and I’ll be sharing them in a future post. I did show the team projects in the Facebook Live Event, in case you want to see them sooner. There’s a link to this video just ahead. 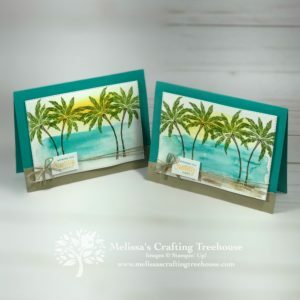 I hope you’ve enjoyed today’s project and idea for artistic inspiration! As always there’s a complete supply list with project dimensions at the end of this post. 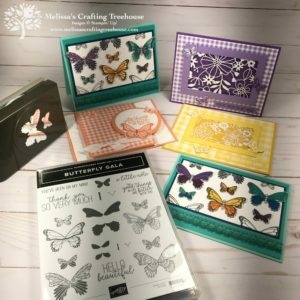 There are links to my online store for each of the products used today, in case you’d like to purchase any of them. 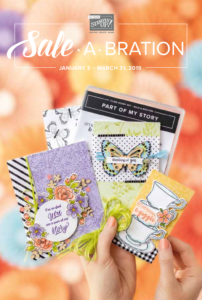 When you place a qualifying order between now and 3/31/19 you’ll still be able to get FREE items through Sale-A-Bration. 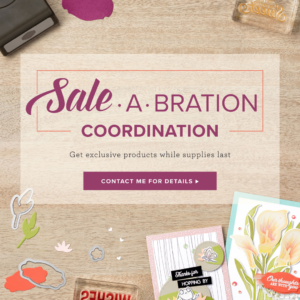 PLUS, if you’re a newsletter subscriber there are EXTRA perks from me for merchandise orders of $50 or more and the more you purchase the more perks you’ll get. For orders between $50 and $149.99 you must use the current hostess code to qualify for perks. For orders between of $150 or more, DO NOT use the hostess code! You’ll get hostess reward plus you’ll still qualify for perks! 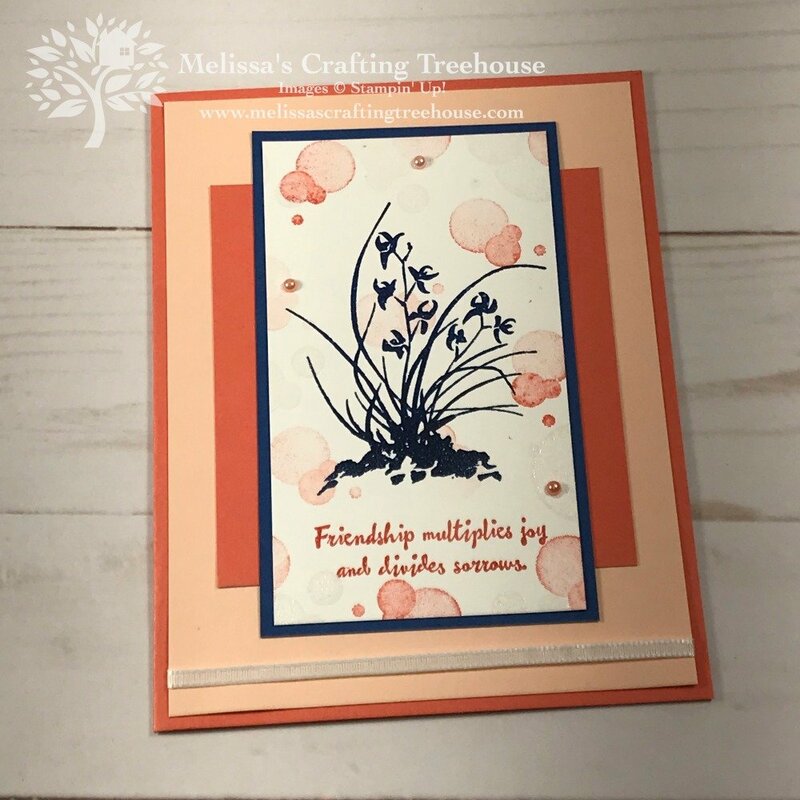 The projects in this post include several variations made with bleaching and water stamping in two color schemes. See the post by clicking HERE. Click HERE to check out my Black Ice Technique card made with this set. Become a Newsletter Subscriber and get Special Perks plus FREE Downloads too! There’s a special offer with EXTRA Perks, JUST for subscribers, going on NOW till 3/31!